The new year has brought an increase in public transport fares throughout the nation. From Tuesday the basic taxi fare in Daejeon and Ulsan rose from W2,800 to W3,300 (US$1=W1,120). 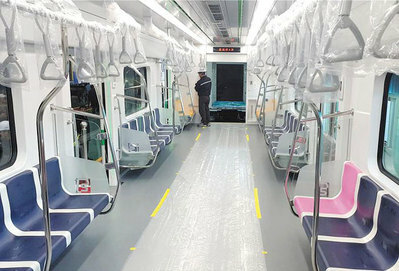 Seoul will also see the fare increase W800 to W3,800 late this month or in early February, while the southwestern city of Gwangju will raise it at around the same time. Bus fares will also rise by as much as an estimated 10 percent. The higher transportation costs are likely to raise overall consumer prices, and will particularly affect people in lower income brackets. Meanwhile, effective Jan. 1, large supermarkets are no longer allowed to sell or give plastic bags to customers. Shoppers are advised to carry their own reusable or paper bags.